One of the best things about the casino software industry is that there are so many companies that throw their hat into the ring trying to deliver a different slant on the games that are on offer. Endemol is a prime example of this. The company started life in 1994 as a television and media company. They have had many successful shows that include Big Brother and Deal or no Deal. But, like all successful businesses, they were on the look out for the next big thing, and for them this happened to be casino games. What sets Endemol apart from the competition is that they automatically have exclusive licenses to a range of games linked to their successful film and television productions, and they also know what’s in store for all of them so can get ahead of the game. These branded games are some of the most popular throughout the casino industry, so it allows Endemol to pitch an exclusive angle to all manner of established online casinos. As a result, they have struck deals with some amazing casino operators. In terms of the total number of games on offer Endemol deliver respectable numbers without ever really troubling the likes of Microgaming and Net Ent. Of course, that was never the aim for Endemol, and the games that they have on offer are generally of a high standard, taking the quality over quantity stand point. Their slots range is where the company spend the majority of their time and resources. The range of games that are on offer are totally unique, mainly because of their aforementioned link to successful TV shows. 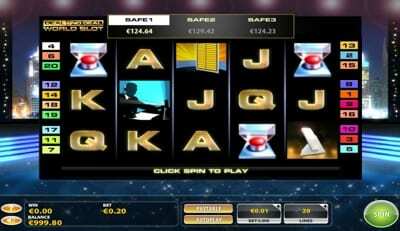 The most popular game within this sector is undoubtedly Deal or No Deal and it is this brand that the company have really made a platform for. The game can be played via their 5-reel platform using a multitude of paylines, bonus rounds, and features throughout, all of which are part of the makeup of the original TV program. You even get to interact with the illusive Banker from the show, which is a nice touch, and there have been many spin offs. Other shows that are featured on the network include Big Brother, Countdown, Fear Factor, and The Million Pound Drop. Whilst this niche of games has brought great success for the company, they do venture outside of these boundaries with a few notable titles such as Hulkamania, King Africa, Oliver Twist, The FA (England) and UFC. These games are all great in their own rights and it’s nice to see such a diverse range on offer. You’re going to find that with a lot of these games you can play country specific versions depending on the casino you are playing at and obviously the country you are from. 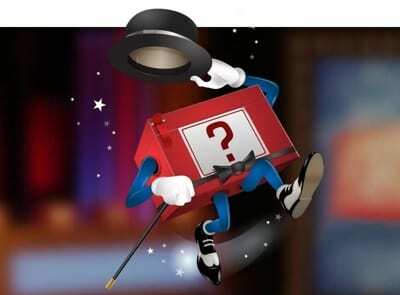 For example, they have Deal or No Deal variations with their own unique presenters etc for Spain, Greece, Italy, and further afield. Endemol includes a solid range of branded and non-branded scratch cards that you can play. In fact, the scratch cards on offer now were some of the same ones that they launched with back in the day. Obviously, over time they have been adapted to improve graphics, gameplay, and payouts, but the base of the game still stands which is a testament to how successful these have become. There are 5 scratch cards in total which include Avast ye Booty, Golden Balls, King Africa, Route to Riches and Big Brother. 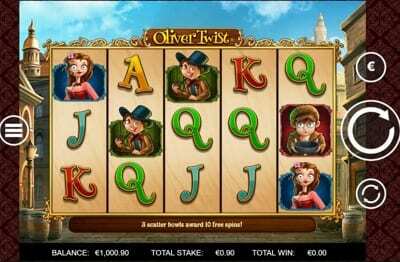 The min games range is the perfect accompaniment to the main slots. Basically, these are diluted versions of games which Endemol suggest sit really well on sportsbooks, bingo and casino pages for players who don’t want all the fuss of a fully functional casino game. There are 6 mini games in total, which includes Deal or Deal, Deal or No Deal Bulgaria, Deal or No Deal Sweden, Super Deal, Deal or No Deal Spain, and finally an International version. Endemol does offer a few jackpot games, but the majority of these are just variations of the Deal or No Deal slots. These are all based on the Endemol network, so players can enjoy some fairly healthy bonuses that are up for grabs. Endemol started life as a production company in the mid-nineties. They were founded by Joop van den Ende and John de Mol (we see what they did there). The company was set up to create television productions and saw huge success with both Big Brother and Deal or No Deal, hosted by Noel Edmonds here in the UK. Other successful TV Shows included The Money Drop, Fear Factor, and Wipeout. In 2000 the company was actually bought by Telefonica, a Spanish telecom and media company, for €5.5billion, giving you some idea of how much early success the company had enjoyed in their first 6 years. However, this success was going to come at a cost and in 2011 the company reported that they were in debt to the tune of $3billion, with this number rising to $4.1billion in 2011. Over the coming years the company saw several buyouts and loan restructures that have come in to help them out, but they have also continued to expand by acquiring existing production companies or by starting up new operations. The casino development side of the company has been a successful venture for them and whilst it could easily be argued that this is not their main priority, it does show how well they’ve done given that they had to make huge sacrifices to pay back the loans.